However, after almost 15 years in this business, I can say from experience that the people who say this are likely Realtors who 1) just don’t know HOW to make the Open House marketing work, and 2) might rather enjoy their Sundays in the recliner, remote in-hand. I just held an Open House this past weekend where I saw at least 60-70 couples and families come through the Open House. That many couples and families means we had at least 150 people total through the Open House. And if you’re not a Realtor, you may not know it, but that figure is unbelievable. Take into consideration this was AFTER 36 scheduled showings on the house in the 2 1/2 days leading up to the Open House. And this was just your normal 2-hour Sunday Open House from 2-4pm. It was so busy I had multiple Realtors reach out to me afterward asking, “Dan, what did you do to generate all of that?” And I had one agent who lives in the neighborhood say we created a traffic jam in the neighborhood! Woops! Sorry! GREAT LISTING: First, it obviously works best if it’s a great listing. 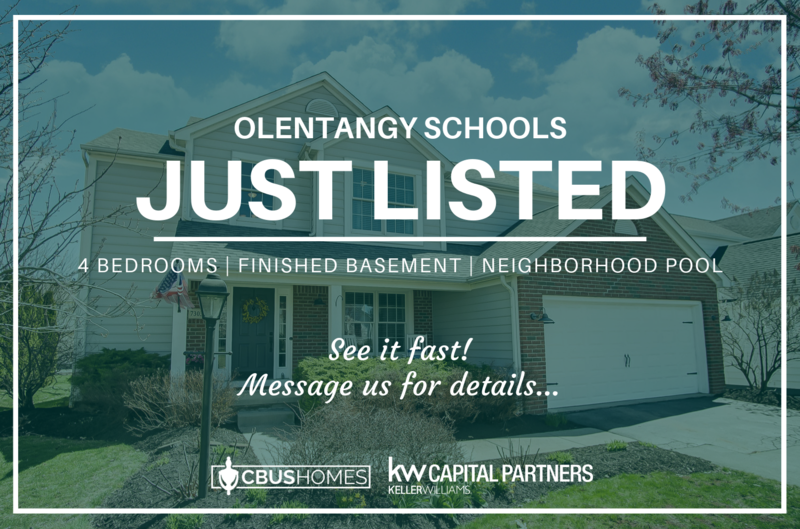 A great listing to me means it’s a nice house, good location close to high-traffic areas, coveted school district, and inviting curb appeal. Yes, a lot of this is just happenstance from listing to listing, but some of this can be promoted and marketed differently for each home to focus on the best features for that home. THE RIGHT PRICE: Price range is a key factor when attracting visitors. Obviously, as Realtors, we don’t want to erroneously overprice a listing, otherwise it won’t attract the right buyers. But also, with an Open House in mind, certain price ranges do better for Open Houses than others. Here in Columbus, I see Open Houses from $150K up to $350K being the best price points for Open Houses. OPEN HOUSE THE 1ST WEEKEND: I like to list it either Thursday afternoon or Friday. Potential Buyers with Realtors can start seeing the home immediately. And I plan to host an Open House Sunday from 2-4pm that first weekend. SIGN: Put an “Open Sunday 2-4” sign rider in the yard so the neighbors and passers-by know about it. MLS REMARKS: The beginning text for all of my listings says something like [OPEN SUNDAY MM/DD 2-4PM!] … This notifies the potential Buyers and Agents right up front. SET THE EXPECTATION FOR OFFERS: Use the Agent-to-Agent private remarks section in the MLS to notify other agents that we are hosting the Open House Sunday 2-4 and are accepting offers (if we think there may be multiple offers) through 6pm Sunday evening. I will also ask agents to leave all offers open until Monday morning at 11am. This creates FOMO and urgency… FOMO is the fear of missing out. SCHEDULE+SYNDICATE: Schedule the Open House in the Open House section of the MLS. This is very important because it gets syndicated to Zillow, Realtor.com, and the other hundreds of syndicated and brokerage websites that feature listings for sale. PRO PHOTOS: I tell all my sellers, “I’m really good at taking photos, but no matter how good I am, I’m not as good as a professional photographer.” I always hire a professional photographer for my listings now. Obviously, this is going to help the listing stand out online better than homes without the pro photos, but it’s also going to help my promotion and ads for the listing and Open House stand out. ADVERTISE ON FACEBOOK/INSTAGRAM: Facebook and Instagram are great platforms to stay connected with friends and others, but for us Realtors, these social platforms are AMAZING for running targeted ads to promote things like Open Houses, new listings for sale, and for running contests. And the results can be as great as you want, all depending on your ad-spend which can literally start at like $2! Yes, $2. Even just $10 is going to promote your listing to hundreds in the area. STORIES: Instagram stories are where the eyeballs are when thinking about free, organic reach on social media. I’m not great at it right now… I used to be, but I got away from it a little bit. However, I’m gradually getting back into it. Instagram is great for free, organic reach because you can use Stories and Hashtags and Location Tags to generate likes and views for your listing and Open House. DIRECTIONAL SIGNS: A lot of Realtors own like 5 Open House signs. To me, I need at least 15 signs, if not more. And I try to put ALL OF THEM out every Open House. If I can, I want to get at least 2 signs at every entrance to the neighborhood (another reason that location and proximity to busy roads plays a part in Open House success), and then 1 sign at every single street corner, directing cars to the Open House. It works. The best part of all of this above is that it’s repeatable. I can do all of these things for all of my Open Houses. Yes, some will be busier than others, and I may never have an Open House with over 150 people in my career, but it won’t be for lack of trying. WHAT DO I DO WHEN PEOPLE GET INSIDE THE HOME? For Realtors, this is just as important, if not more important, than trying to get a large number of people to the home. 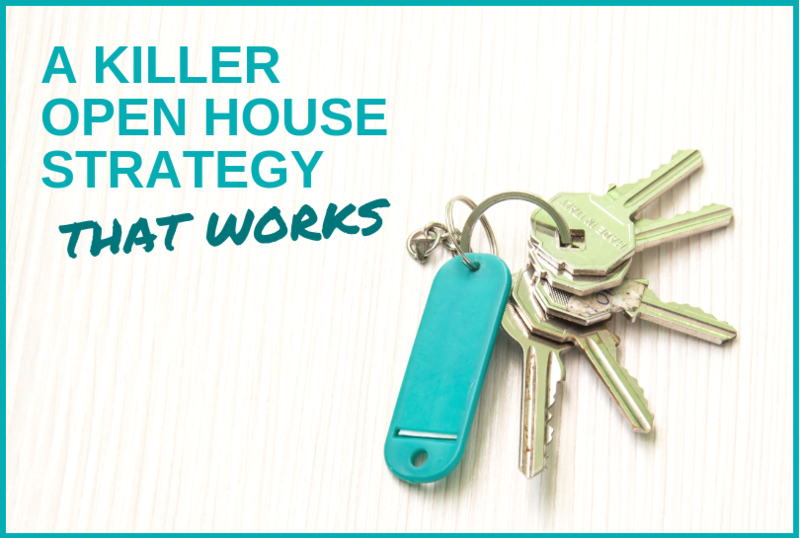 If you don’t have a strategy once the visitors are in there, the Open House will be a dud – and you might as well have not had anyone show up. Just as I am very picky when choosing the right property to hold open (considering price points, locations, curb appeal), I’m also picky with how I spend my time inside the Open House. I mean, if there are more than 3 couples/families in the house at the same time, it’s almost impossible to have a good conversation with everyone… so I have to be a little choosy. What I’m doing is just beginning a conversation. If they’re stand-offish, I’m okay with that, and I let them do their thing in the house while checking in with them maybe once or twice more before they leave. But if they’re even just slightly conversational, I’m going to just keep talking with them and LISTENING to what they say. I don’t want to be sales-y at all. Truly. Like 0%. I just want to talk to them like I’ve met them before and we’re catching up. So, I hope that helps give you an idea of what I do for my Open Houses. As you can imagine, it does bring a lot of traffic. Since I’ve started doing things this way, I’ve gone from averaging about 4-7 sets of families/couples to… well… to almost an Open House that is so busy I can’t even put a number on it. Yes, the above scenario was my most recent Open House, but it’s not like it’s completely a one-time thing. In fact, the Open House I did 4 weeks ago had around 60 couples/families through that one too (though that was on a Saturday AND Sunday combined, 2 hours each day). Best of all, as you can also imagine, my Sellers love it and all the attention. And it creates a sense of FOMO (Fear Of Missing Out) for the Open House visitors and interested buyers showing the home or seeing it during the Open House. It usually creates multiple offers, over list price. This one from this past weekend saw 6 offers come in on Sunday, and we went into contract about $16K over list price. If you have any questions about any of this or anything else I do for my listings, clients, and business, please reach out to me. I’d love to help provide insight and help!